Would you be surprised if I told you that I get questions weekly about toilet brushes? Yes, you guys want to know how I deal with a toilet brush. 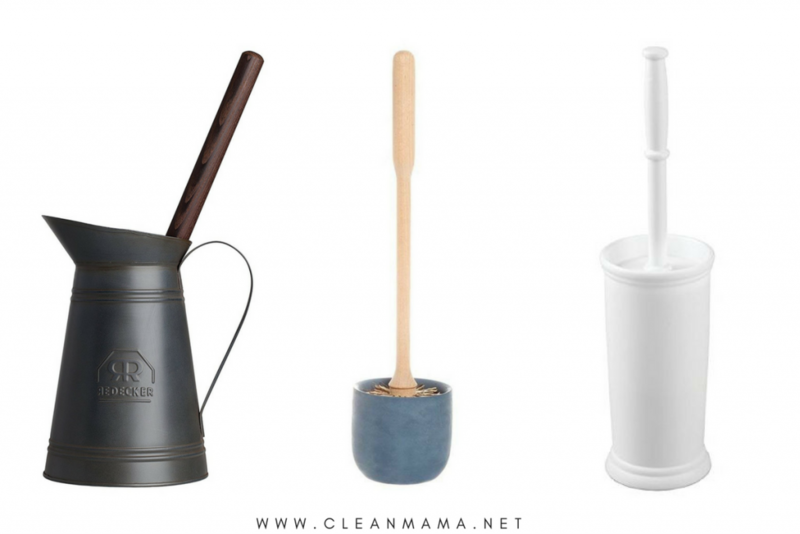 So let’s talk about these bathroom cleaning tools…. It took me awhile to come back around to the toilet brush but in doing so, I have a couple tips and tricks that got me back on the toilet brush train. 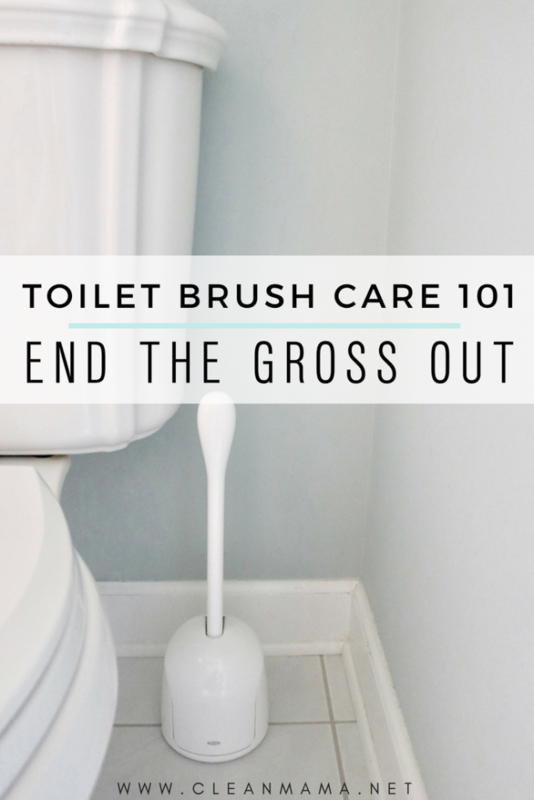 If you’ve been following me for awhile you probably have heard me talking about how toilet brushes gross me out and how I prefer a disposable toilet brush even though they aren’t the most eco-friendly or safe option. One of my hangups has been that I caught one of my little ones playing with the toilet brush years ago and that kind of sealed the deal of us being a no toilet brush family. Now that the kids are older and not into playing with toilet brushes anymore, I decided to go back and revisit toilet brushes. Each bathroom has a toilet brush (except for the powder room). Use your cleaner of choice (I’ll be sharing more on that soon), let the cleaner sit. Scrub thoroughly and flush. Repeat if necessary. 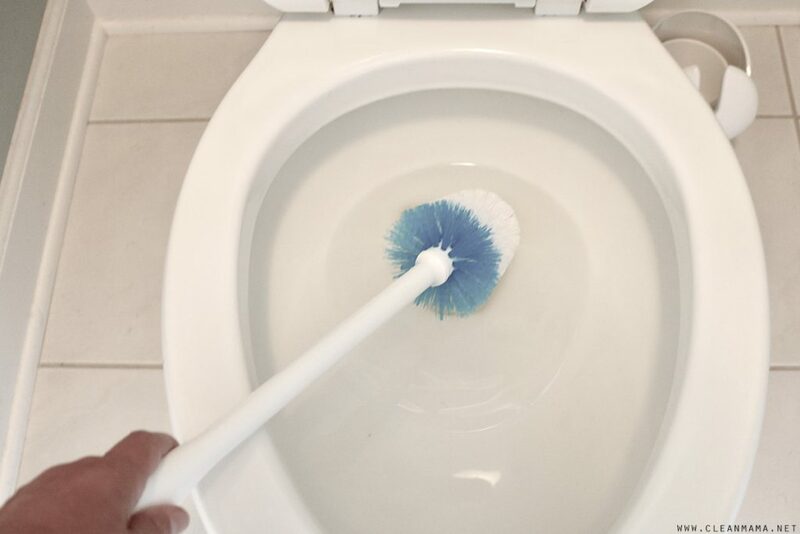 Flush again and rinse the toilet brush in the clean toilet water. 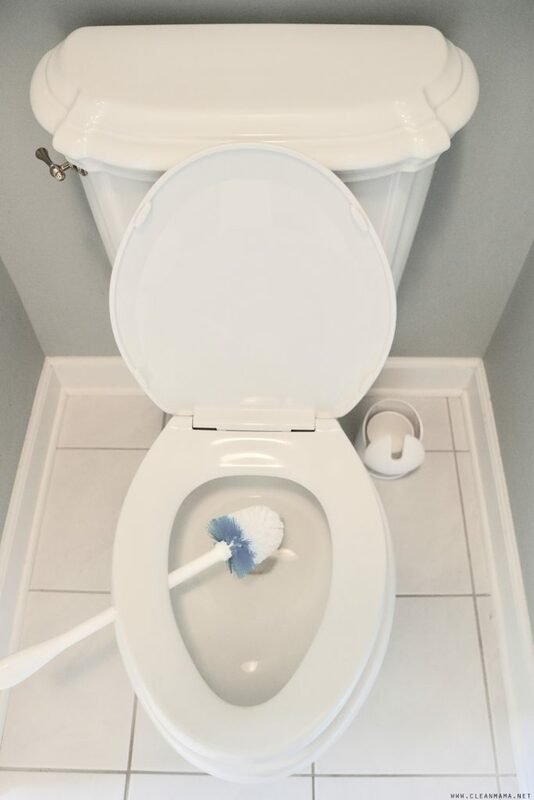 Put the toilet brush under the toilet seat. The toilet seat will hold the brush in place to allow it to dry. Spray the brush thoroughly with hydrogen peroxide to disinfect. Allow the brush to drip dry before returning to the holder. That’s it! I do a thorough BUT speed cleaning of the bathrooms every Monday as part of my cleaning routine. I find that this maintenance is key to keeping the toilets clean all week long. Looking for a new toilet brush? Here are 3 more unique options….. Anything else you’d like to know about toilet brushes? Ask away! 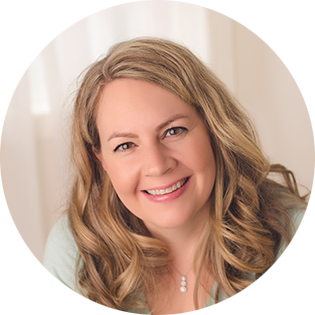 I have very recently come across your awesome book, website and blog. I’m loving it! But today’s post is frustrating to me because I literally just replaced our toilet brushes 5 days ago with the disposable kind you highly recommend! Such is life, right? The upside of the disposable kind is that my OCD kids won’t be freaked out about cleaning the toilet bowls anymore! LOL 😀 Sigh. Love your work! 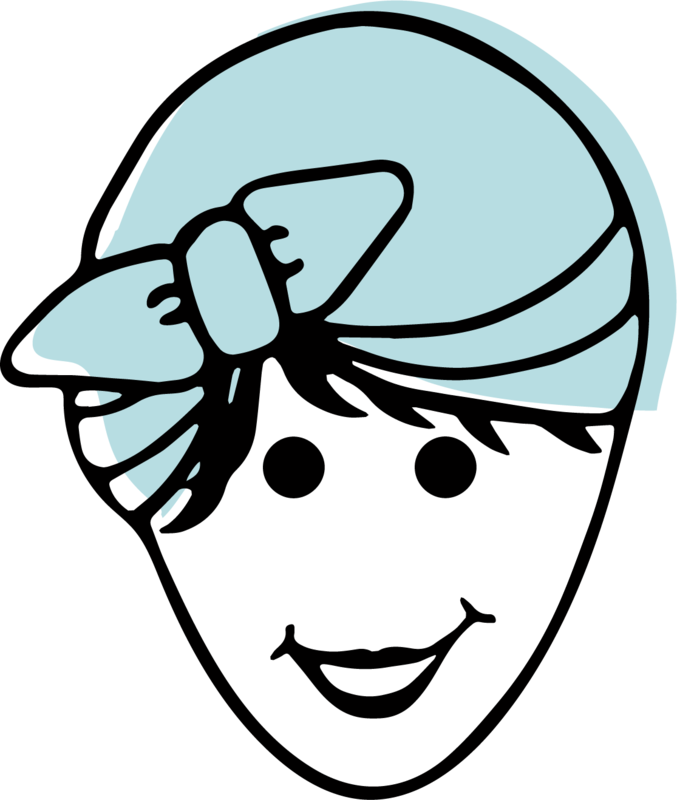 Thanks for helping us homemakers out! OMG, that tip of putting the brush under the toilet seat to dry and then spraying with hydrogen peroxide is genius! I am going to do this from now on. Thank you for always sharing such fabulous tips and tricks! Yes! Both those tips are new to me also. Can’t believe I never thought of them. Never heard of the peroxide treatment before. What does that do ? And what else do you use peroxide for with cleaning ? Do you have any products you like to hold extra toilet paper? We have a small bathroom so baskets aren’t an option. Thanks! We use a brushed metal rack that’s matches our faucet, but has gotten icky and rusty andnisnhard to clean. Thanks! I did find a couple ideas at BBB though! I had a similar problem. We use one that mounts to the toilet tank. Search Google for “tank mounted toilet paper holder” To see the different styles. Good luck! For holding extra toilet paper I found a beautiful antique wooden medicine cabinet. It hangs above the toilet and also hold any intimate items needed in that location. I didn’t even know about the disposable brush until reading your blog a few years ago! Went out and bought one for every bathroom! 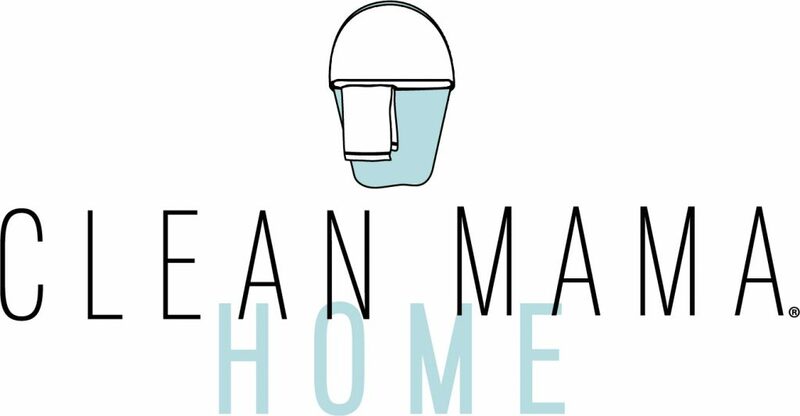 They’re a game changer… with a large household our bathrooms should get cleaned more than once a week and this product is the “in between” thing that keeps it all clean. Its funny how different things affect people differently. I never really gave much thought to toilet brushes except that I need one to stay ahead of mineral stains in the toilet. I have a ceramic planter with no hole in the bottom that holds mine. While decluttering my kitchen I found a round plastic mesh and had no idea what it was…BUT it fit perfectly in the toilet brush container. The container is narrower at the bottom and gets wider as it goes up, so this mesh sits about an inch above the bottom if there’s any drips so the brush isn’t sitting there wet. I Ibuy my toilet brushes at the dollar store so it’s cheap to replace them as needed. I also keep a dish scrubbing brush with a handle in there and it works beautifully for under the rim. I’m looking forward to reading your post about toilet cleaners. After reading your book I’ve mostly switched to environmentaly friendly products, but toilet bowl cleaner is one of my last holdouts. Great tips! I might circle back around to the toilet bowl brush once my toddlers are a little older. 🙂 Any tips for plunger storage and cleaning? Especially right after you have to use it? Thank you for the awesome tips and posts! I keep ours in a large bucket in the garage 🙂 I spray it with hydrogen peroxide after using it and put it back out in the garage. I keep my toilet brush and plunger in a clear plastic show box in my cleaning closet. Once they are sanitized and dried i return them to their holders in the shoe box. I didn’t realize this could be replaced. I have the same ones! One in each room. Where do you buy your Replacements? I don’t see them easily on Amazon. Thank you! At what point do you wipe down the toilet seat? I love the hydrogen peroxide idea! My favorite brush is the one from Norwex, it has rubber bristles & is designed so you can get up under the brim. I’ve had it for a couple years & it holds up really well! Where do you find the peroxide with the spray nozzle? I love IKEA’s 99¢ toilet brushes. They’re simple and compact, and I have no problem replacing them every 6 months or so when they get yucky. I will be trying this trick to probably extend the time between replacements, though! I pour cleaner into the toilet brush holder after I clean it. The brush sits in that and I give the toilet a quick swish every morning. 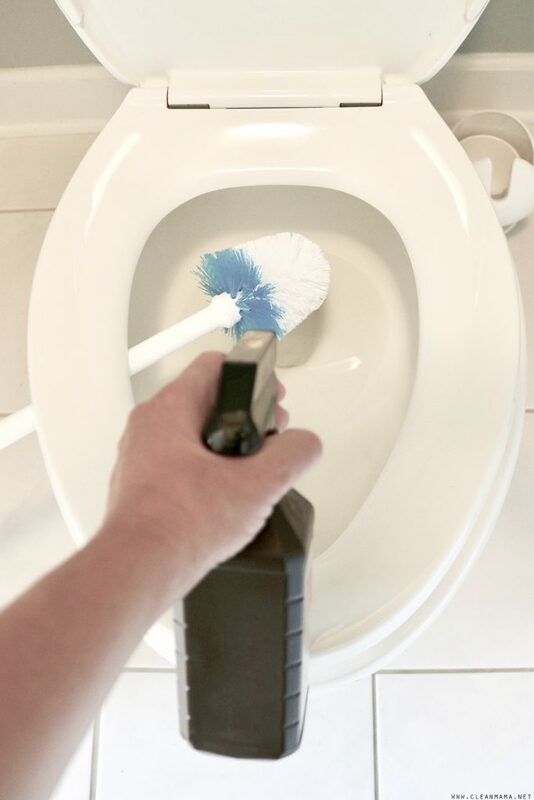 On cleaning day I dump the contents of the holder into the toilet and clean thoroughly, then put fresh cleaner in brush holder until next week. Omg! I’ve been using the brush under the seat trick my whole life. I thought everyone did. BUT…the hydrogen peroxide takes it to a whole new level! Thanks for that added bonus!!! 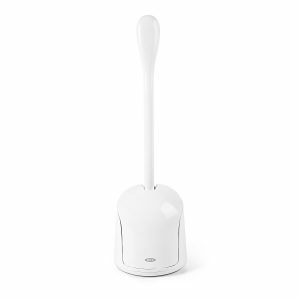 Before putting the toilet cleaner nlrlund the bowl you should use the toilet brush to force as much of the standing water as possible out of the toilet (just like plunging). 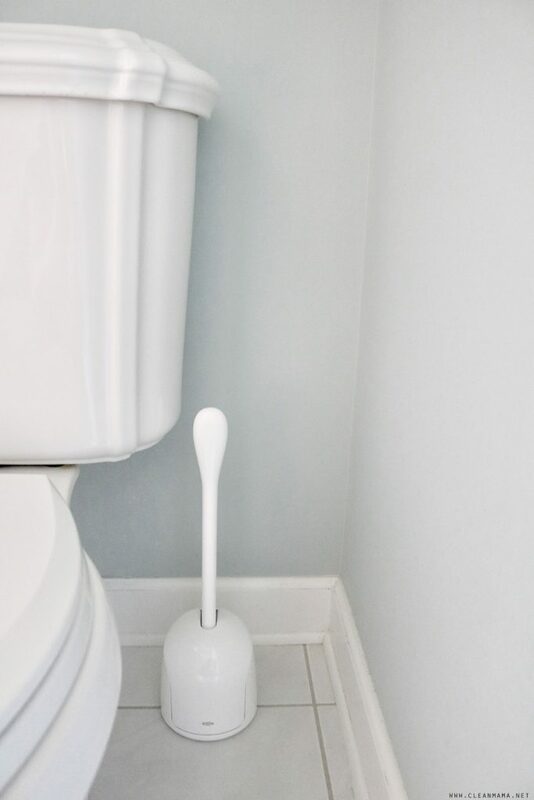 This means that the toilet cleaner will clean around and under the water line not just above it. I don’t have much of a problem with brushes, but the plunger problem vexes me. Would love to know how you deal with it. Right now, I sprinkle baking soda in the holder and let it absorb moisture until use, but I feel like there’s got to be a better way. Wow, awesome tips!! Do you wait for the brush to dry first before spraying it with hydrogen peroxide? I just tap it to get the excess water off and then spray. But you’re sitting the toilet brush handle between two parts of the toilet that haven’t yet been cleaned?! Still a bit grossed out by this! The toilet is CLEAN – the bowl, the seat, etc. I am just letting the brush drip-dry before putting it away. yes, that is fine as long as it is linked AND credited in the post.